Computer & Network Repair - Be-Com Computers 5774 Bradbury Road Nanaimo B.C. If your network is always hanging, running slow or just doing strange things, you have to do something about it. Most business owners simply live with network problems because they don’t know what to do. That’s why we’re here. Slow networks not only create frustration in the office but over time the problems cost you money. Be-Com Computers can help. We can discover and fix your network bottlenecks while streamlining its operation. 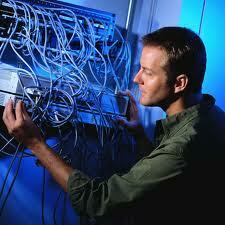 For larger networks, you might even consider our Manged IT Services. We can monitor your network on an ongoing basis and act as your in-house IT department for a low monthly fee. If you are having problems with your computer network take the first step and call us. We can discuss your concerns over the phone first for FREE to see what the next step should be. Don’t let your computer network repair problems slow your business growth and cost you money!